Easily hang bird feeders, flower baskets, plants, or wind chimes from your favorite tree branch with the Droll Yankees Standard Hook. The large end of this hook loops over tree branches up to 6" in diameter, subtly adding your hanging items to the cool shade and leafy blanket of nature. The smaller hook on the base accommodates your hanging item. The durable aluminum construction will not rust, and the silver color remains classic in your yard. 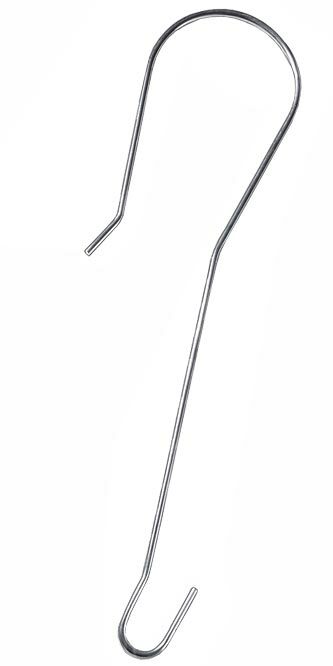 Display your outdoor items easily using this Standard Hook.